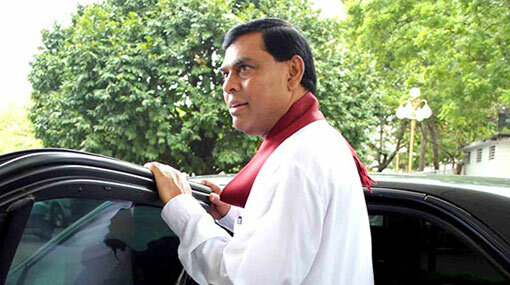 The Colombo High Court has granted former minister Basil Rajapaksa permission to travel abroad for medical treatment. The case filed against Rajapaksa for allegedly misappropriating Rs. 36.5 million of funds belonging to the Divi Neguma Development Department to purchase and distribute GI pipes during the last Presidential Election was taken up today (16), before High Court Judge A.A.R. Heiyanthuduwa. Attorneys appearing on behalf of the former minister informed the court that their client requires to travel to the United States from August 10 to November 10 as he is in need of medical treatment. Presenting the relevant medical certificates and insurance reports to the court, they requested for the lifting of the travel ban currently imposed on him. The state counsel informed the court that they had no objection to the request, however asked that permission to be granted in a manner that would not hinder hearings of the case. Accordingly the High Court granted permission for Basil Rajapaksa to travel abroad during the said time period and also ordered to release his passport on a personal bond of Rs 200,000. The Judge also stated that further hearings of the case would have to be shifted to the Homagama High Court as the incident comes under the jurisdiction of the Kaduwela Magistrate’s Court.